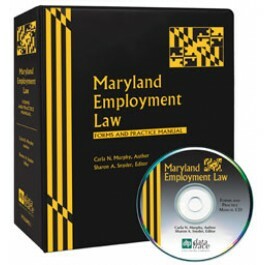 9:20 a.m. to 4:30 p.m.
With each fully-paid registration fee, you will receive the latest edition of the Maryland Employment Law: Forms and Practice Manual or the Maryland Limited Liability Company: Forms and Practice Manual, complete with customizable eForms. For more than 30 years, Data Trace Publishing Company, a Maryland company, has published a robust line of law manuals consisting of state-specific books and national books authored by prominent lawyers from the country’s leading firms. 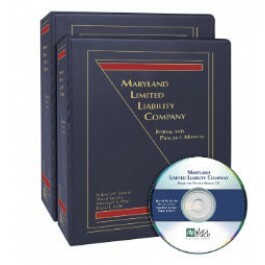 These experts who practice in the areas of employment law, limited liability company law, corporate law, estate law, family law, securities law, licensing and technology transactions law, and the Uniform Commercial Code’s Article 9, provide the materials and invaluable knowledge to produce the outstanding line of Data Trace legal books and manuals that include customizable eForms and annual supplements. Thursday, March 28, 2019 9:20 a.m. to 12:00 p.m.
Thursday, March 28, 2019 1:20 p.m. to 4:30 p.m.